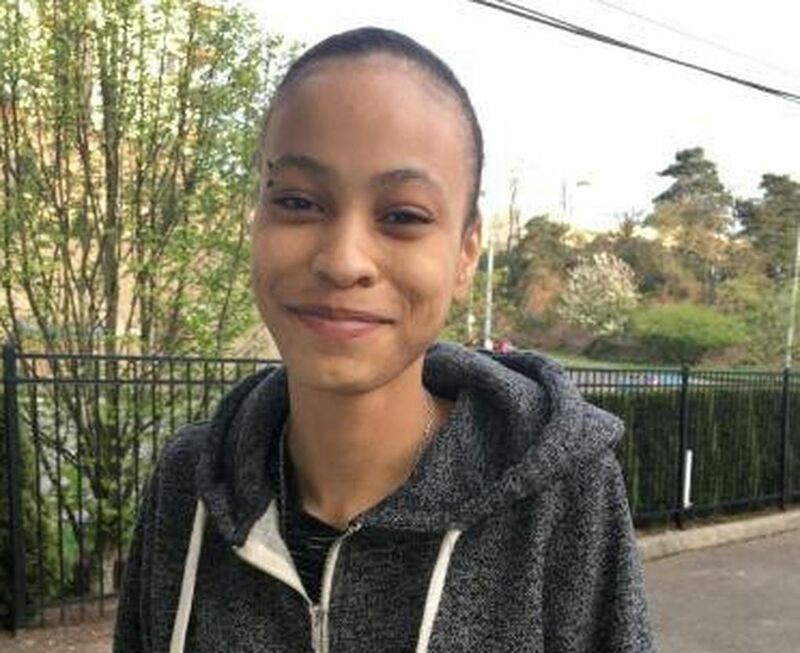 Monique Tillman, 17, is seeking unspecified damages from the officer, the private security firm he worked for and the owners of Tacoma Mall. Even though Monique Tillman, now 17, knew what had happened to her during an encounter with a Tacoma police officer in a mall parking lot two years ago, seeing the video for the first time was staggering. “I was absolutely in shock, anger and disbelief,” said Tillman, who is black, about the video that shows the white officer pulling her around by her hair, throwing her to the ground, tasing and arresting her. In Seattle, community members most recently questioned police actions in the death of Che Taylor, a black man who was fatally shot by white officers in Wedgwood in February. Tillman was 15 years old on May 24, 2014, when she and her brother dropped off some clothes at a consignment shop, had a meal at McDonald’s and then headed home at about 5 p.m., cutting through the Tacoma Mall parking lot near their house, her attorney said. While she was riding, officer Jared Williams pulled his Tacoma Police Department-issued patrol vehicle behind the wheel of her bike, according to the lawsuit filed last week. She turned around and asked him what was going on and why was “he trying to hit me with his car,” she said in a telephone interview on Wednesday. According to her attorney, Vito de la Cruz, Tillman knew her rights and knew that police are required to have probable cause before detaining citizens. In a video taken by a mall surveillance camera, Tillman is seen talking to Williams and another security employee, gesticulating with her arms and pointing. Williams, who was working off-duty for mall security at the time, told Tillman that she was causing a disturbance and was going to be “trespassed,” or banned, from the mall and could be arrested if she were to return, according to the suit. The lawsuit says he tossed her around “like a child’s doll, slamming her into parked vehicles, forcibly shoving his forearm into her chest, grabbing her by the hair and body-slamming her into the pavement,” the suit claims. In the video, it also appears that Williams was holding Tillman against a vehicle by her throat for a time. She was charged in juvenile court with resisting arrest and assaulting an officer. Williams claimed she had tried to kick him, de la Cruz said. He said the charges against Tillman were dismissed by a judge who viewed the video and found no evidence that the officer was investigating a crime when Tillman was stopped and no evidence that she assaulted Williams. Tillman’s brother, who is one year older, was also arrested and cited for bicycling without a helmet, said de la Cruz. Williams still works for the Tacoma Police Department, according to a department spokeswoman. The owner of the mall, Simon Property Group, and the security firm for which Williams worked, Universal Protection Services, both declined to comment on the pending litigation. De la Cruz said before the encounter with Williams, Tillman was a mostly-A student who had respect for authority figures. Tillman, who is now studying digital media at Bates Technical College, said she still sometimes has a hard time believing what happened. Christine Clarridge: cclarridge@seattletimes.com or 206-464-8983 on Twitter @seaclarridge. Information from Seattle Times reporter Jessica Lee was included in this report, as was material from researcher Miyoko Wolf.